Guest, Did you know that you can Become a Star Member... and that our Clubs Forums operating expenses are primarily paid by the generous contributions of members - We hope you enjoy our clubs forum and become a forum supporter... Guest, if you would like to give back and help support your club, Click here and Become a Star Member Today!!! Fish And Time Of Year? Discussion in 'Fishing Chatter = anything to do with fishing' started by Douglas Turner, Feb 9, 2019. 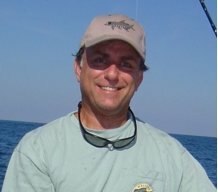 Does anyone have a chart on what time of the year certian fish run up and down east coast (Ormond to Cape Canaveral) and what bait works best for each stype of fish? Just curious. I know I catch a bunch of Blue Fish off cut Mullet. If not its ok I think i may start making one. Cheers! Sounds like a plan Doug. our forum is a database off all that information, just search the reports by date or month and you will see what runs for that month each year. Cobia300, miller, shrimpmansteve and 1 other person like this. I have looked in the past for something similar but haven’t seen anything already compiled. It would be helpful for us newbies IMO. Best I came across was the archived Chumline reports that Flagler Sportfishing Club does monthly. I started copying and pasting the Inshore sections so I could compare the year to year data for each Jan, Feb, etc. However, what I found as I worked my way in to the second year, then looked at subsequent years, is that the reports were in most cases verbatim copies from the prior years... unless someone else happened to write the reports and then those were the same each year they continued to write. I even noticed that the inshore reports for Flagler were the same as I found in the Coastal Angler magazine. So, I can look and see each month what should be the hot bite, and what should be the most productive method. However, I haven’t found anything that is a report of actual “live” conditions of what is really happening around the area this year. There may be a similar club down that way which has some online archived fishing reports that would help. This Forum has tons of reports from down your way though and would be the best source, it would just take a lot of work to compile in to a chart like your are talking about. I just do what Sam suggested above and Search keywords and month. I’ve used it to search High Bridge, for example, and then sort by month, since that’s close to me and about the only area I’ve seen many reports on which are near my stomping grounds. I have looked in the past for something similar but haven’t seen anything already compiled. I say this with friendliness in my voice. Get out there when you can and fish for whatever is biting. No matter what time of year, you can’t get them from the couch. True, Steve, and it helps newbies when we all post what bait we are using. Sure, you can catch flounder with shrimp, I have gotten a limit with them, but it’s a whole lot easier with mud minnows for instance. Posts here were very useful to me as I learned to fish these waters after moving here. I agree that I haven't seen a book or chart like that either, but all of that info is certainly posted on here for anyone that wants to take the time to put it together. Douglas Turner and Nautical Gator like this. The water temp, solar period, tides, spawning & migration cycles don't vary much from year to year. Mullet run is a perfect example, cold water up-welling another. When those patterns change look out!!!! Something is wrong with the sun and the moon and their orbits effecting the seasons and tides. Hope it stays consistent for a long time. Forum software by XenForo™ ©2010-2017 XenForo Ltd. Forum Copyright; ©2013-2017 ShrimpNFishFlorida.